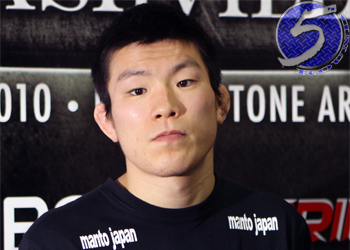 Just two days after announcing the acquisition of bantamweight star Bibiano Fernandes, ONE FC confirmed Thursday the hotly-rumored signing of jiu jitsu specialist Shinya Aoki (Pictured). The fighters will make their promotional debuts at “ONE FC: Pride of a Nation.” The August 31st event takes place in Manila, Philippines at a yet-to-be determined venue. Their opponents will be named shortly. Fernandes and Aoki are now-former Dream champions in their respective weight classes, so believe the rumor mill’s accuracy when it states the Japanese-based MMA organization has shut its doors.